Boutiques in Pakistan are an emblem of ethereal haute couture in Pakistan. As people prefer them on ordinary garment brands. They guarantee your versatility and sophistication. The trend of setting them up is in full swing since the last decade. A number of people emerged showed keen interest in this industry, thus there is a whole panorama of marvelous fashion boutiques in Pakistan. It is very encouraging that these fashion hubs are not only confined to metros but also to small cities and towns. It shows how successful is this culture in Pakistan. Umar Sayeed’s boutique is synonym of fashion at its best. His boutique is very famous among elites in Pakistan and abroad. He becomes the king of designs when elegance, fashion and decency join hands together. His fashion house deals in menswear and women’s wear both. It has many outlets in all the cities of Pakistan and outside Pakistan. 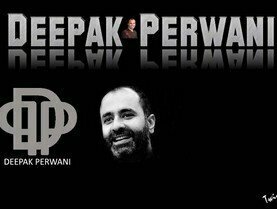 Deepak Perwani is the soul of Pakistani Fashion industry. His bohemian and chic styles are a fashion statement. Deepak started his boutique from Zamzama, Karachi; it was specified for men onlybut after getting immense applause he launched many other emporiums for men and women both, all across the country. He is also in high demand in other countries. J. is a recent fashion boutique by the famous Dil Dil Pakistan Fame, Junaid Jamshed. J. is a name of sophistication and decency. It has many outlets nationwide. J. is a recent name in the fashion industry yet a great threat for its contemporaries. It deals with chic kurtas for both men and women, salwar kameez, casual and formal wears etc. HSY Studio is yet another big name in the list of Pakistani top fashion houses. It is the property of the famous fashion designer Hassan Sheharyar Yasin. He excels in all kinds of fashion: casual, formal, semi- formal, eastern or western and so on. HSY Studio is everywhere in all the metropolitans of Pakistan and overseas such as Dubai, Manchester and Houston, New York and so on. Karma is another trend-setter label of Pakistan. It has a great reputation for its lavish and brilliant designs. Karma holds a strong place in the fashion industry. Karma is an internationally recognized label of Pakistan. No market is lacking Karma boutique these days. Mehreen Kardar Ali is the proud designer of karma fashion hub. She is a skillful professional designer, who has made Karma a place that satisfies aesthetic sense and assures fashion statement!